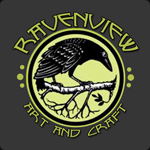 As Ravenview Art & Craft we create art and craft pieces that will add beauty and functionality to you, your home, your garden and more! We are located on the East Coast of Canada in the Halifax/Dartmouth area of beautiful Nova Scotia. We believe that one’s art is the result of one’s life, one’s loves, one’s history, so it is our goal that our website will be a centralized venue for us to share more about ourselves with you. 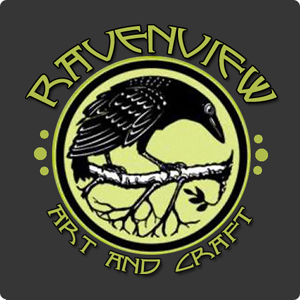 Like many in the creative arts we feel that every waking moment should be spent in the shop/studio, outside enjoying nature, spending quality time with friends and family and not in front of a computer screen. However, we want to make our website more than just a catalog to showcase our items for sale so we hope to be able to incorporate into our daily routine. Through the blog section we’ll post our thoughts, photos, people and things we see and meet, places we visit, things we like, concerns we have, our hopes and maybe even our dreams. All the things that make us, us. (Sounds heavy, huh? Naw, we promise it will be fun! :)) We’ll also have product care tips, features and specials, a frequently asked question area and information articles. We are planning a photo gallery for our past projects too. Of course, the catalog section will showcase our current items that we have available for sale. Please keep in mind that there is often a lag between when we create something and the time that it gets in to the catalog. We are aware that this is one of the biggest problems of operating a store-front website; trying to keep it regularly updated. Please bear with us while we try to balance all of these things. 🙂 Feel free to contact us if you have seen something announced on our social media channels (Twitter, Facebook. Instagram) and you don’t see it in the catalog. Likewise, please contact us if there something that you’re wondering about or something that you think we can help you with. So, please, follow us and visit often. Get to know us, get to know our art and our craft.